Our flagship product, News!Site, provides a comprehensive suite of easy-to-use editorial, revenue and administration tools that allow you to create and update your website in just a few minutes a day. Visit our Showcase to see how our customers use the flexible tools in News!Site to deliver their online news. If you can point, click, cut and paste, you can master this software! Tiles, banners, sponsors, classifieds, mobile ads...easy to administer and no revenue sharing! We have continously improved News!Site 5.5 with the release of three subsequent Feature!Pack updates. These automatic updates provide new modules, fixes and features to the software and are free to our customers. With each Feature!Pack, we provide free webinar training sessions to get you up to speed on the new tools available in your software. This is just a partial list of News!Site's capabilities! As a database-driven CMS, News!Site is a flexible, intuitive and efficient way to keep your website up to date and relevant. 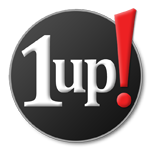 To schedule a demonstration of the software or for more information, contact us at moreinfo@going1up.com.